It’s a fact of life, space and interplanetary technology installations prefer open source. Reports from the Linux Foundation earlier this year confirmed that the International Space Station’s (ISS) laptop installation is to drop Windows into the airlock in favour of a new deployment of Debian Linux on its machines. On the same astral plane is the Met Office. The organisation is now using 10gen’s MongoDB (from “humongous”) open-source document database to help develop a UK space weather forecasting service. So what is that solar flares and winds can impact the performance of our electricity grid, satellites, GPS systems, aviation and mobile communications. EDITORIAL NOTE: Actually the so what factor was that it was cool even before it mattered, but now you know they matter — it’s even cooler. In line with this news 10gen has explained that space weather forecasts are of crucial importance, not just to the public but also to armed forces, satellite operators and the electricity and aviation industries. The firm insists that the scalable and non-relational nature of MongoDB will enable the Met Office to analyse vast amounts of different types of data including solar flare imagery from NASA. In turn, the Met Office will provide warnings of space weather events so that the government and businesses can take appropriate action to minimise its impacts. TECHNICAL NOTE: Following the completion of the initial phase in July, the Met Office aims to deliver public space weather forecasts later in the project, giving all stakeholders and interested parties access to real-time space weather information and predictions. 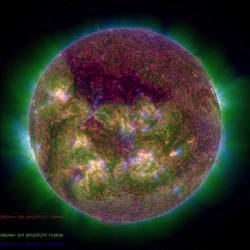 “Since the start of this project, the Met Office was challenged with bringing together large volumes of data from all the various monitoring assets used for space weather monitoring and forecasting – which is no small task. We needed a platform to aggregate data in a speedy, scalable and flexible manner. We considered a number of non-relational and traditional relational databases, and MongoDB ticked all the boxes,” explained James Tomkins, Met Office Portfolio technical lead. Following the beginning of UK and US government space weather collaboration in 2011 the Met Office is working with partners including NASA, the National Oceanic and Atmospheric Administration (NOAA), the UK Space Agency and the British Geological Survey to accelerate the development of improved space weather models and prediction systems. “The Met Office performs a vital service that we all depend on. 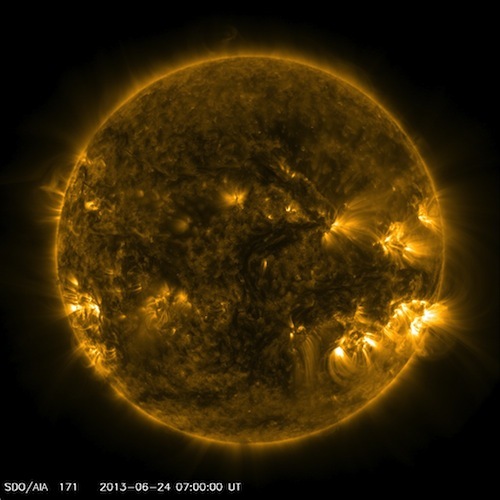 This is a great example of how NoSQL databases are playing a vital role in turning vast amounts of data into useful intelligence that helps the government and a number of industries that need to make decisions based on space weather predictions,” said Joe Morrissey, VP of EMEA at 10gen, the MongoDB company. 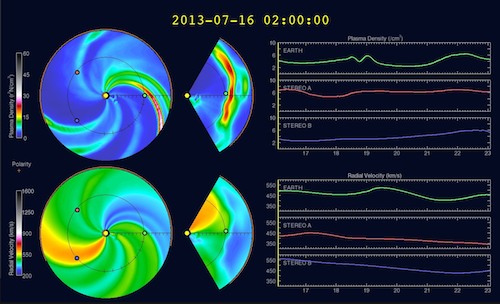 As well as having access to NOAA’s state of the art ‘ENLIL’ computer model that is used to predict the arrival time of Coronal Mass Ejections, the Met Office will be using MongoDB as the database to further develop its own space weather prediction models.